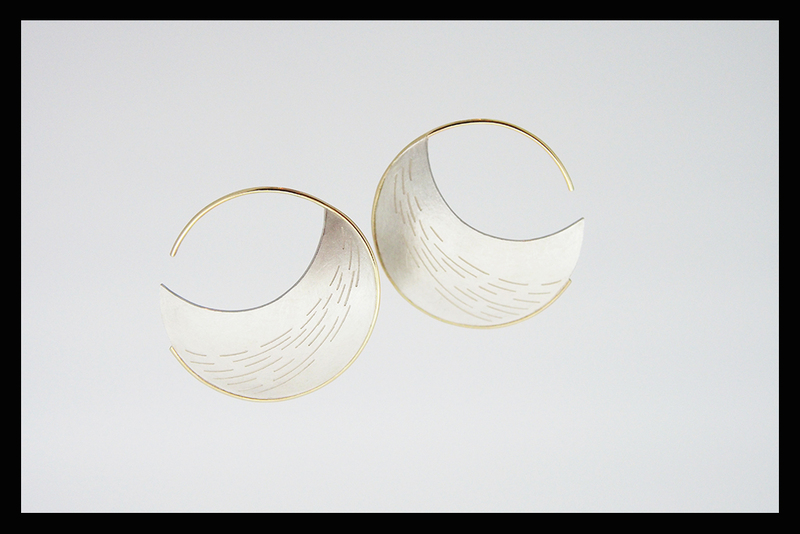 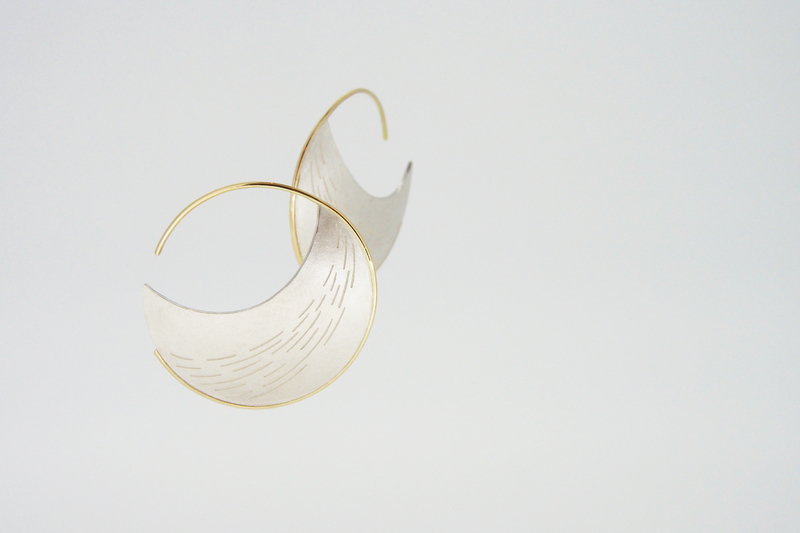 Etched earrings in silver and 9ct gold, inspired by the shadows of cloud formations across the surface of Neptune. 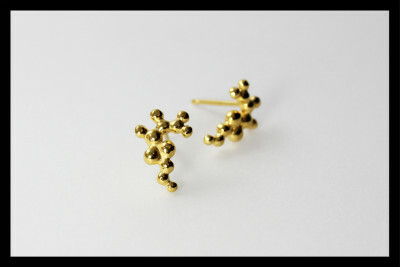 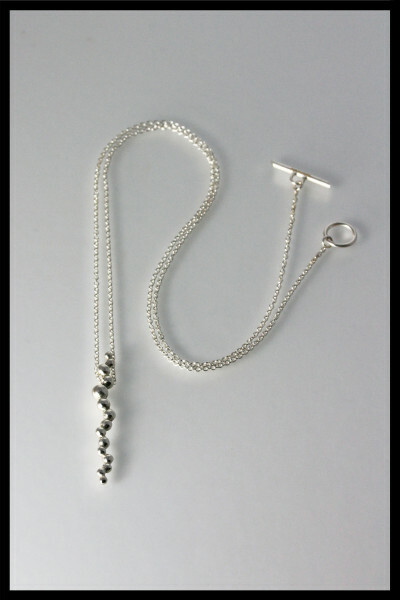 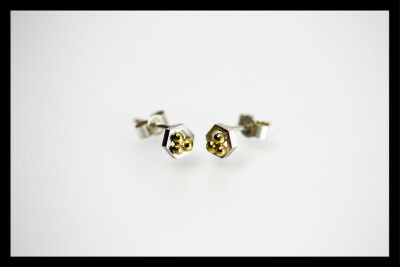 Sold with 9ct gold ear scrolls for a secure fit. 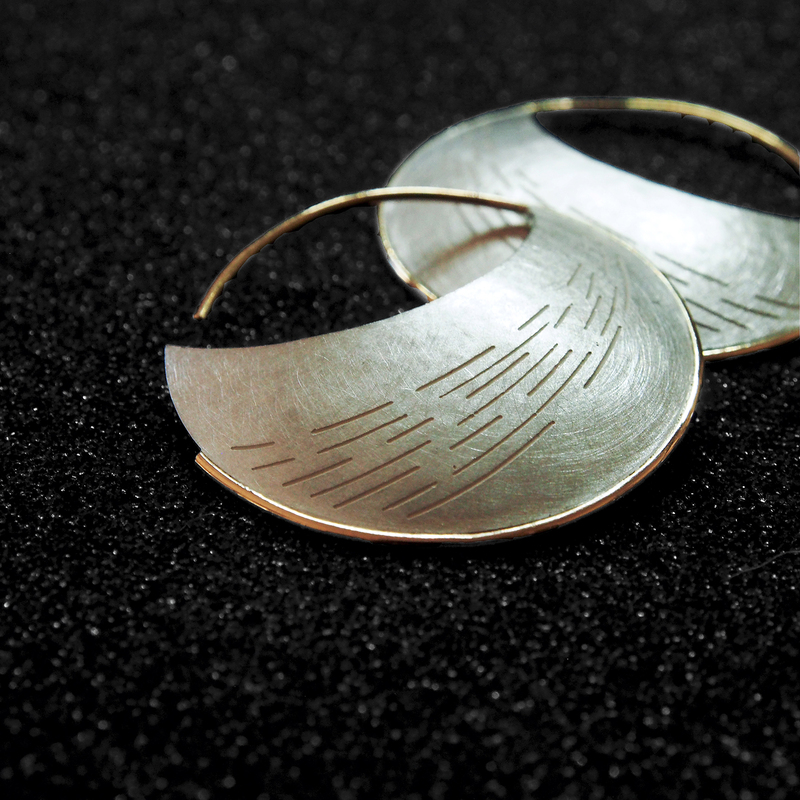 Earrings measure 3.2 x 3.2 cm.